Please SIGN UP to our mailing list to receive regular mailings of updates from this site. You can select the frequency of these mailings. We also use our mailing list to coordinate actions amongst our supporters, such as lobbying or letter writing, or to notify members of urgent information. 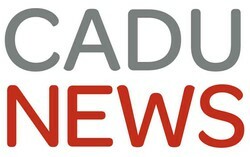 If you would like to recieve pdf copies of the quarterly CADU News, as it comes out, please contact the office. We also offer a paper subscription to the paper CADU News for the affiliation rates below. Please note that CADU will not share your contact details with any third party. If you find these updates useful, please consider affiliating or donating to CADU. Standard annual rates are £10 waged, £8 unwaged for individuals, and £30 for groups. We fund our activities with donations from ordinary members, and a few grants from organisations that are willing to support this kind of work. We are always grateful for donations, no matter how small.